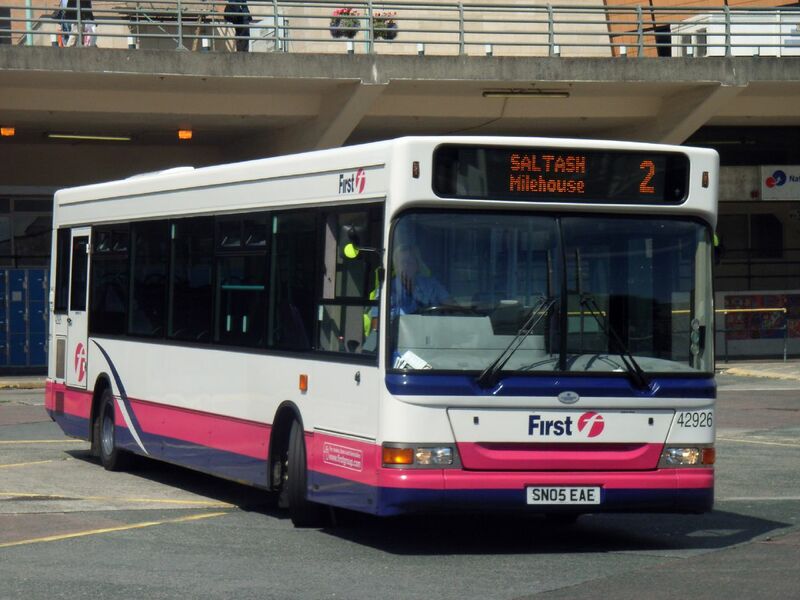 First Group are in the process of moving a lot of buses around their fleets at the moment with a large batch of Volvo B7RLE Wright single deckers being transferred out from Manchester to various fleets including Devon and Cornwall. This move in turn is also setting off other movements with a number of Dennis Darts leaving the South West and heading off towards Essex. Most of these are the SN05 batch 42924-34 with all but the first three displaced by the Manchester Volvos from the Cornish 14/18 routes. 42924-6 are Plymouth based and usually appeared on the Park and Ride PR2 although as they are standard Barbie liveried buses they can appear on any route. The other bus leaving Cornwall for Essex is 42430 P430ORL. It seems that these are expected in Essex within the next few weeks. As always with First Group - plans can change! ahh, no there sending away the only decent darts we got down here! i hope first do change there plans!